AMD recently announced a pair of new desktop processors, both of which are said to be the fastest chips released to date in their respective classes. 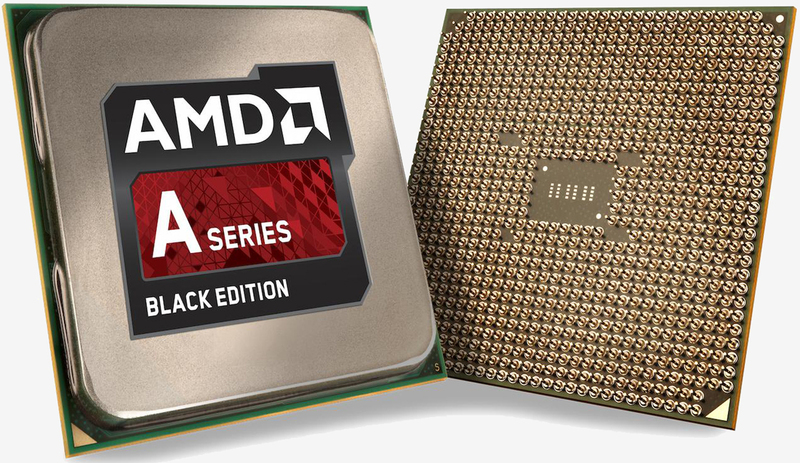 The AMD A10-7890K is the company's fastest APU yet. It features a base frequency of 4.1GHz across its four CPU cores (up to 4.3GHz Max Turbo) with a GPU frequency of 866MHz and a maximum TDP of 95 watts. The A10-7890K will become the second processor to ship with AMD's new Wraith heatsink and fan combination which is rated at 39dB. When it was announced last month, AMD said the cooler delivers 34 percent more airflow and offers 24 percent more cooling fin surface area compared to its predecessor. The Athlon X4 880K, meanwhile, is a quad-core CPU clocked at 4.0GHz (up to 4.2GHz Turbo) and is the fastest Athlon X4 chip AMD has ever produced. It, too, features a maximum TDP of 95 watts but ships with the 125W AMD Thermal Solution – essentially the same cooler as the Wraith but without the illuminated fan shroud. Of course, if you plan to use an aftermarket cooler, neither of these new AMD-branded cooling solutions will matter to you. Pricing is set at $164.99 for the A10-7890K while the Athlon X4 880K will retail for $94.99. AMD says they should be available for purchase at select retailers and online by the end of the month.